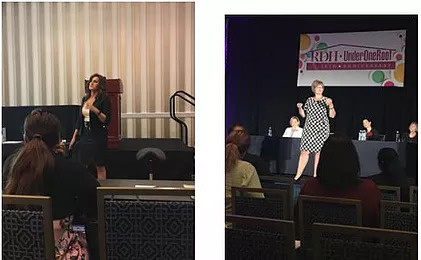 The 2016 RDH Under One Roof , took place July 27-July 30 , at the stunning Gaylord National Convention in Oxon Hill, Maryland. It was the first time I attended the RDH Under One Roof (UOR) conference and it certainly will not be the last! 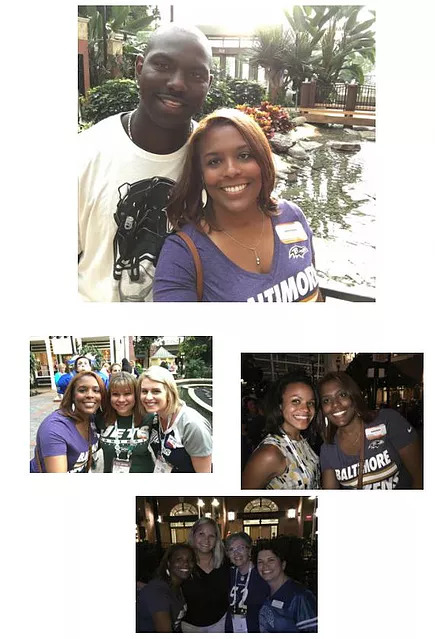 The most challenging part of my experience was traveling back and forth from Baltimore to DC. No one likes DC traffic but my experience at RDH UOR was worth every second of being cut off while driving (Smiles). 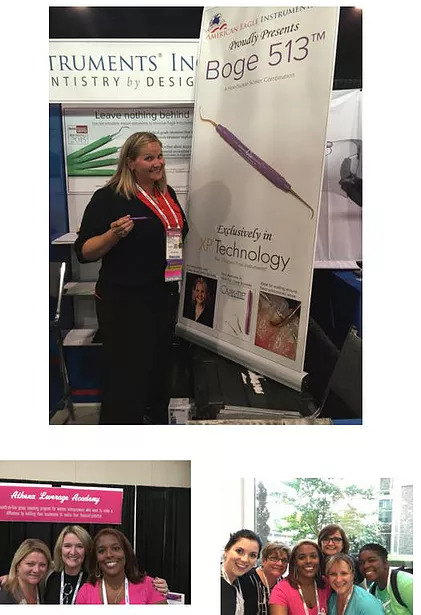 My experience began on Thursday when I attended the workshop "Let's Learn Lasers" presented by Angie Mott, RDH and Jeanette Miranda, RDH. Both speakers were very knowledgeable about laser implementation in practice and their use for optimal tissue resolution. I enjoyed my time during the course and especially liked the hands-on activity. It was a six-hour course that presented the challenging science behind lasers, safety precautions during use, and implementation for clinical practice. The use of lasers to treat periodontal infections is a game changer! More hygienists should take this course. Frankly, one course is not enough! It will require several sessions to really master the advance techniques and concepts of laser use. Sign me up! I applied for the Sunstar Discovery program and was accepted to attend the Sunstar Award of Distinction Tailgate party. They honored four recipients: JoAnn Galliano, MEd, RDH, Susan Wingrove, RDH, BS, Debra Zafiropoulous, RDH, and Corinne Jameson-Kuehl, RDH, BS, OMT. I was very eager to see Debbie Z, as she is fondly called, receive her purple ring. Debbie Z is a phenomenal woman! She is passionate about oral health, has a powerful presence, and to top it all off she is genuinely kind! She is an amazing speaker and is very supportive of other hygienists who want to make a difference. Read Kyle Isaacs, RDH, article about an outreach event they organized together, click HERE. It will leave you inspired and ready to do more! The tailgate party was awesome! A special treat was my husband’s attendance at this event. He is very quiet and reserved. I was happy he had a chance to see why I value these opportunities. He watched me in action aka being a chatterbox. If my mom was still living, she would tell me that my eldest daughter is just like me. In this instance, I see where she gets it from :). My poor hubby, patiently waited :). I reconnected with old friends and met new colleagues. 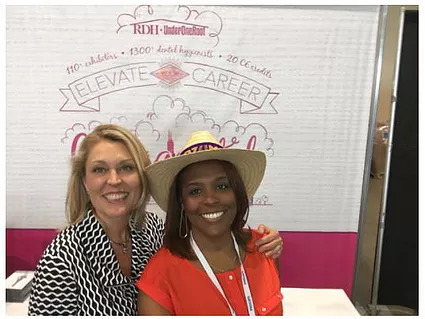 I was particularly interested in meeting Dee Humphrey, RDH, the founder of RDHumor with Dee on Facebook . On Facebook, she has an energetic and colorful personality. 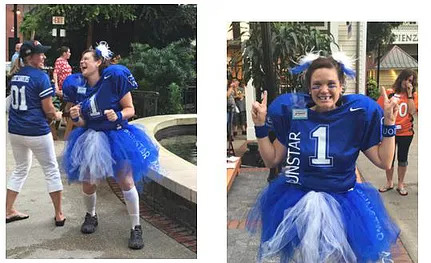 It was confirmed at the tailgate party that her online persona greatly fits her in person persona. She came into that tailgate party with such a force it felt like a huge "whoosh". She was a delight to meet and in my humble opinion the BEST dressed. Many of our industry leaders are seen while they are in professional settings delivering their empowering messages, educating listeners about the companies they represent, or handling other business affairs. 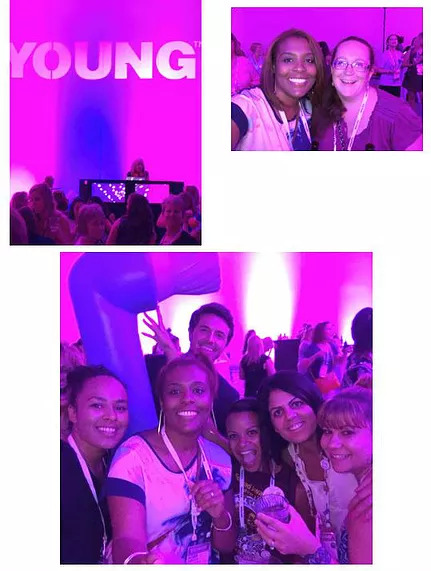 It was incredible seeing their deep bonds with one another, how they support each other, and their welcoming attitude towards the future generation of leaders in our industry. 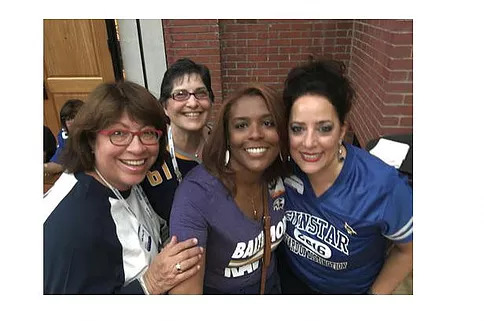 As my friend, Shavonne Healy, RDH, BS, said in one of her recent posts: "Good leaders make more good leaders and these leaders want to get to know YOU!". Thank you Sunstar for providing myself and the other 19 discovery program attendees the privilege of attending this event. The keynote address given Friday morning entitled "Stress Less: You Management VS. Time Management" presented by Colette Carlson was nothing short of amazing. I've talked on this blog and on Facebook posts about professional freedom. I firmly believe that we all have control over our careers. The same theory applies to our stress, what we encounter is normally in direct relation to decisions made in our daily activities! She stated simple truths like, "learn to let it go" and "Do Less, Do it Less perfectly." 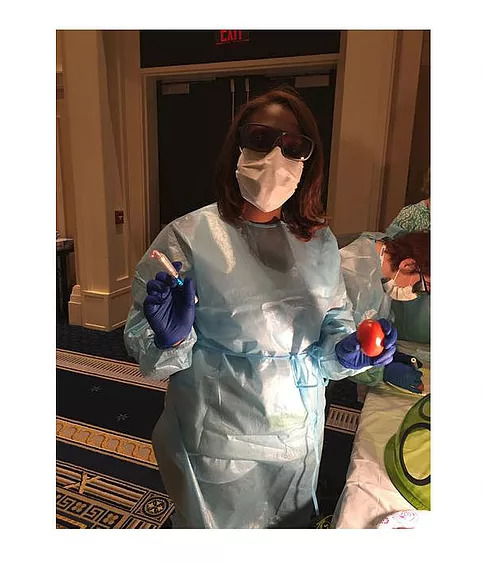 Colette embodied every obstacle or responsibility on the dental hygienists' plate. She made us laugh, reflect on ourselves, and held us accountable for the management of our stress. Five Star Keynote address!! I was able to catch her in the exhibit hall before she left for her flight. Of course, we took a selfie! She requested that I immediately send it to her and jokingly stated how she demonstrated the same controlling actions we just discussed that morning by watching me send it to her, LOL. We are all a work in progress! :) Love Colette! 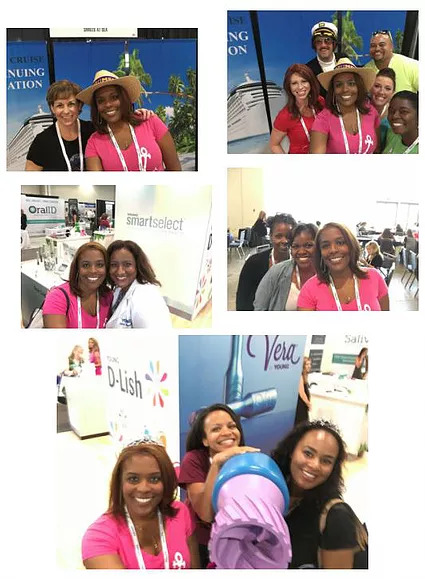 I volunteered at the Smiles at Sea booth, interviewed with A Tale of Two Hygienists, met some extraordinary RDH entrepreneurs including Anne Guignon's Mom, received the NEW Philips Sonicare Flexcare Platinum, and enjoyed every moment of my experience. I felt supercharged and ready to finish 2016 off with a bang! The Young Reception that evening had the BEST DJ. It was the first dental conference where I've heard the electric slide and other popular line dances. Every person was on the dance floor. It was so much fun and hard to leave! Saturday, was the last day of the RDH UOR event. The RDH view Live was a great panel. 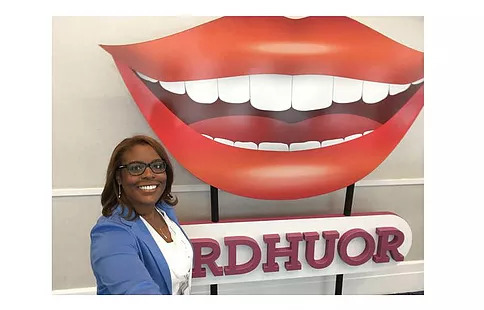 My highlight of that panel was hearing Kristine Hodson, RDH, MSEC, owner of Dental Influencers LLC , recount a remarkable story. I happen to meet with her at her booth later that afternoon. She explained that her recollection of that pivotal moment in her life was unscripted and unplanned. It's in those moments of vulnerability that you touch the most lives. Kristine, certainly made a deep impression on me. In our day-to-day activities, we often don't realize the impact we have in our patients lives. We have the possibility to save lives and truly make a difference. When we notice that our emotions may be getting the best of us due to stress or time consider how our actions could be the best part of someone's day. 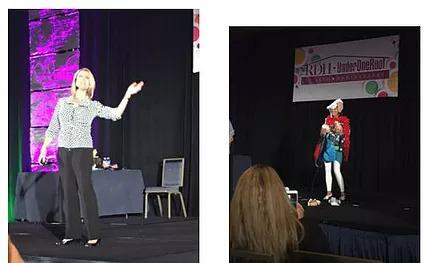 I was invited to hear one of my speaker inspirations, Edie Shuman-Gibson, RDH, MS, PhD(c). 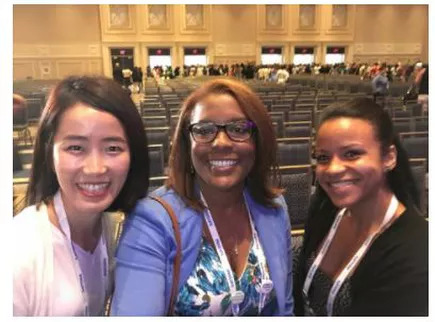 After hearing her speak, it lit a fire within myself, I incorporated my takeaway from her presentation into an article that I will share at a later time. When it's ready, I will place the link HERE. 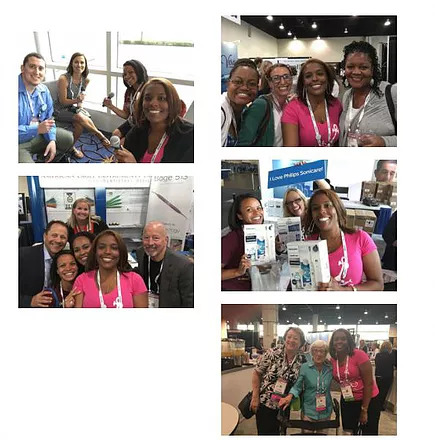 I also heard the dynamic speaker Angie Stone, RDH, BS, at the General Session/Wrap Up: Patient Centered Care Through the Ages: It Takes a Dental Hygiene Community. I told my friend, she would wake that place up with her energy. And she did! What she is doing for the geriatric community is revolutionary and is needed.